Many fans have sent me messages on the same topic. Crochet Challenges & Giveaway. Fans ask a question about Summer 2013 Challenge. In being summer and choosing the afghan, I wanted our summer to be fun and relaxing. Cathy and I had discussed, in length, about the option of allowing the summer afghan to be more free to crochet creativity. Allow the fans to decide the afghan size they wish to do. With some patterns in crochet, just because the designer suggests you should do a certain size, many of us usually customize our afghans to suit our own personal wants. I call that “Crocheters Choice”! Usually for our challenges, there is only 1 mega prize at the end. In deciding to allow “Crocheters Choice”, we decided to approach Red Heart and ask if they would sponsor 2 more gift packages knowing we are allowing “Crocheter’s Choice”. They were enthusiastic about the idea. So instead of separating the afghans by sizing. We have opened up the playing field for all crocheters to have an equal shot for each of the three draws. The draws are completely random. 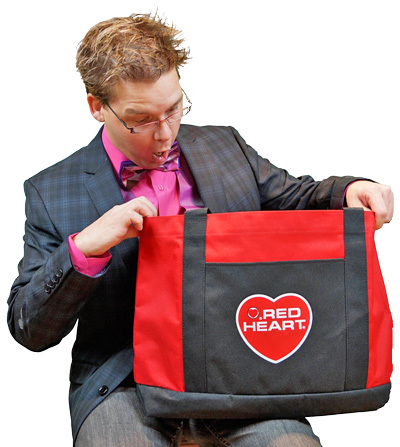 We will not be able to do this for all of our challenges as the gift package is valued around $100 – $130 each. I wanted to be very open about this up front as I know some people may think it be unfair if they did a Queen Size version and someone did 2 or 3 baby size versions in the same time frame. This is known up front so there are no surprises at the end. If people choose not to do an afghan because of “Crocheter’s Choice”, they can make that decision up front. With three prizes, the odds of winning are significantly increased. We are all artists in our own way. Let’s use this challenge to express that and create afghans that you know you can use instead of following the pattern size requirements. The minimum size required is 36″ x 36″. We have to state that so no one submits us a dish cloth size. Let’s have a great summer ahead. This entry was posted in Crochet Challenges and tagged Afghan, Cathy, Challenge, Craft, Crochet, Crochet Challenges Giveaway, Crocheters Choice Usually, Michael Sellick, Mikey, Pattern, Queen Size, Summer, Summer Challenge, The Crochet Crowd. Bookmark the permalink. Most of my baby blankets are MUCH smaller than 36″ square – they are sized to fit a car seat, a carry cot or a crib, and I’ve already made a carry cot sized version of this pattern. I think I’ll sit this one out – but have to say – great competition, fair rules and a great chance to win one of THREE good prizes – good luck everyone! Can’t wait! Can’t wait! Can’t wait! Can’t wait! Can’t wait! I just want something new and exciting to work on!! I don’t umderstand the problem some are having with the rules. The folks making the contest, doing the work to secure the prizes, however they get them, have the right to determine the rules. It’s not like you can go to the lottery commision amd say, ‘not fair, that guy has $100 dollars to buy tickets and I only have $5’!! I have found over the years that when it becomes more trouble than it’s worth, these things tend to disappear… No one wants to be challenged at every step. Make it easy all the way around, accept the rules, especially when good explanations are given, and move forward! I agree with you 1000000% Doris. I don’t know why people don’t get that if they make things a constant struggle for Mikey, Cathy, and Dan that this is all going to end. People need to be nothing but grateful. If people don’t like the: Patten, rules, color, size, style… whatever, they don’t have to enter. It’s really just that simple. Personally, I think it’s the fairest in making the minimum size that has to be what is called for in the pattern, since there are those that will make the “baby size” blanket (or a smaller version of any pattern) just in order to finish something to enter. With the way you have described three sizes and three prizes, it still leaves the ones that don’t want to put forth the time and effort to make the pattern size still eligible for an entry. This seems to happen with each challenge except the last one where the guidelines specifically stipulated you had to at least make the size called for in the pattern. Just my thoughts……….. This size changing is only for this summer. I was really wanting the challenge to be more relaxed to give “Crocheter’s Choice”. That’s why I want to be very clear about that up front as people don’t get in a huff and accuse other people of cheating. I want it known up front so people who feel it may be unfair can opt out in advance. The extra 2 prizes being awarded increase the odds. Mikey, Cathy and Dan, thanks for giving of your time and creativity. I have seen in the short time I have been following The Crochet Crowd, that no matter how detailed you make a challenge and how generous you are with size and prize, there is always going to be a group that is not happy about anything. You have laid out the rules and sizes in great detail and I, for one, cannot wait to see what the pattern is going to be. In the end, even if you don’t finish on time to be entered, you will still have the satisfaction of having finished an afghan that you can cherish. Good luck everyone!! I dont think anyone should complain about anything to do with the contest. Just a chance to enter at all should make everyone happy. Mikey and red heart are giving us a chance o win yarn. If you can only make one or a dozen, have fun. You never know, those making more than one may be donating the extras to charity. Just be sure to put lots of love into what your making and enjoy crocheting. I think it’s fair,the way you and Cathy are doing the Summer Challenge. I just want to know is there a pattern for the Challenge? When will we know? I think this is a fair challenge. Some crochet faster than others, some don’t have jobs or kids and can crochet all day if they like. It’s a contest that is supposed to be fun. If you think it’s unfair, don’t enter. I’m not the fastest or the slowest and I have a job and 3 kids to take care of. I’ll try the challenge and if I get it done, Yay for me! I’ll enter it! I think you and Cathy make great decisions in everything. You do your best to be fair to all. Your contests are free and you always tell people the rules ahead of time. No one has the right to complain. If someone chooses to make a Queen size or King size afghan that is their choice. We all admire them for their patience but it is still their choice. We should all be grateful for everything you do. No one has the right to complain. I agree with the others as well. This is very fair of you. Especially since Red Heart is sponsoring two draws and you are doing the third yourself. I am antsy waiting for the release. Tee-Hee! I have a $40 gift card from Michaels waiting to be used. Hopefully they don’t have a good sale between now and then. after reading everything, the only thing I can’t find an answer for, how many times can you submit for the challenge? Say, you make twelve blankets, can you enter twelve times? That would not be so fair for those of us who are “slower”….have less time…etc…..don’t get me wrong, I enjoy all the challenges…. Each finished project is an entry. 🙂 That is usual for our challenges. So if you do 3 afghans, each one is a separate entry. you know, I have never entered in any of the events yet, but I do hope to at some point. That said, I do have to agree with Rae. There are people who crochet fast, and those who are not able to crochet as fast. Letting people enter as many times as they are able to make the item gives them an unfair advantage even though the win is a random draw, because they are in there X number of times more than another person. Mayhaps it should be considered to only allow one of the items a person makes as being entered (the maker would have to choose which they want to enter) but they could share pictures of any others they make, but the extras would not be entries. I mean look back at other events making afghans, and at how many a few people were able to make while other people struggled to be able to make one and have it done in time to be entered. I think you & Cathy mad a VERY fair decision and I agree wholeheartedly! It’s not a contest and the prizes are being awarded by random draw, so how can one argue with that? I’m looking forward to the project, not necessarily the prize! The prize is only a bonus! I think that is fair. It is also about having fun, not the size, or who’s is better than the rest. It is totally random so everyone has an equal chance.